A variation of Baccarat, Punto Banco is a game where the dealer deals 2 hands, Punto and Banco. 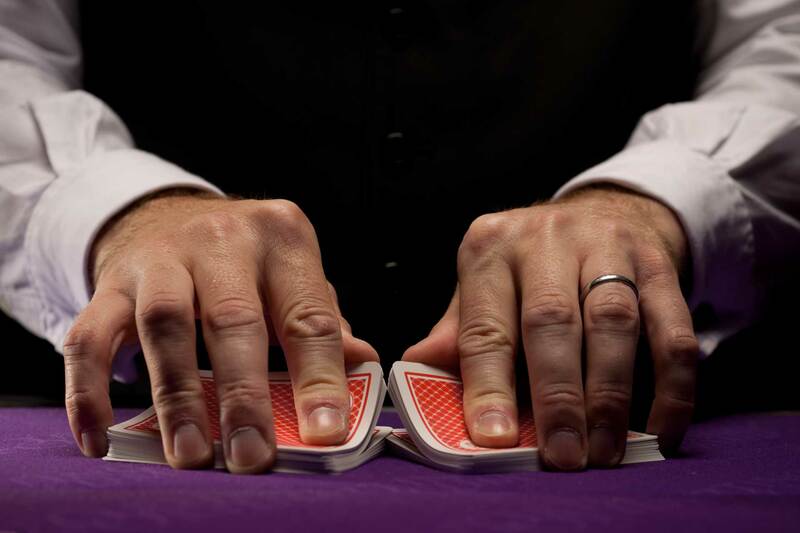 The player bets on the hand which he believes will come closer to a total count of 9 or bets that both hands will be equal. Tens and picture cards count as nothing, Aces are worth 1 and all other cards are face value. Our large Punto Banco table comfortably sits 9 players in classic leather seating. Relax and enjoy a private, relaxed atmosphere with complimentary beverages served to the table while you play. Place your bets on either the Player or the Banker’s hand, or bet on both for equal amounts in the Egalite box. Two hands are dealt, one to the player and one to the banker. Each receive two cards. If both cards dealt equate to 8 or 9 this is a ‘Natural’ win. If the total is between 0 – 5 a third card is drawn. Members can enjoy exclusive access to our Punto Banco table, in Dublin City Centre from 6pm to 6am. Please let us know. Our friendly, experienced Dealers are at hand to guide you.